Carolina emcees Ed. 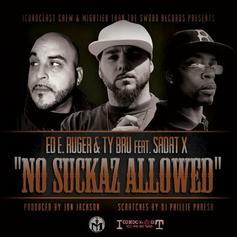 E Ruger and Ty Bru don't allow suckaz in their presence, nor does the legendary Sadat X (of Brand Nubian). Hit the iTunes link to cop the track.